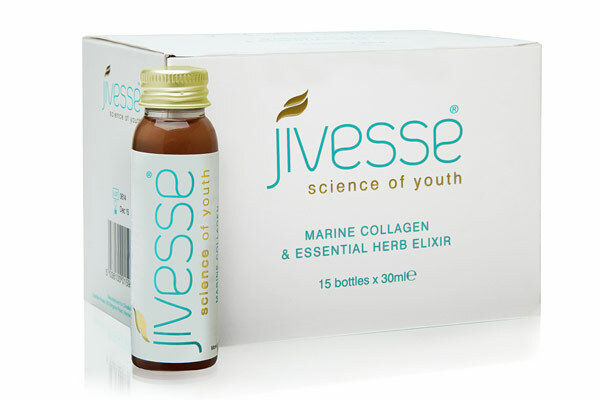 The Jivesse Marine Collagen and Essential Herb Elixir contains 5000mg of Peptan, a type 1 collagen peptide; clinically proven to ensure positive effects on skin cells containing collagen. This active ingredient will work from the dermis of the skin, to ensure collagen production is boosted causing skin to look firmer and radiant. Taking an ingestible to transport the ingredients directly into the system can help increase the speed at which key nutrients and actives are absorbed. The ingredients in the Elixir help the body from its core to strengthen the internal and external campaign against anti-ageing. Skin treatments and regimes typically focus on providing products which try and solve only the external signs of ageing by applying active ingredients on the skins surface. Whilst this may contribute a great deal to reversing the signs of ageing on the visible areas of the skin, the absorption of these key ingredients can be slow and provide little benefit in helping the body overall slowdown the ageing process from its core. Transporting active ingredients directly into the system can help the increase the speed at which key nutrients are absorbed and help nourish all the vital areas of the body. The carefully selected fusion of ingredients contained in Jivesse Marine Collagen Elixir help the body from within, strengthening the internal and external campaign against ageing. 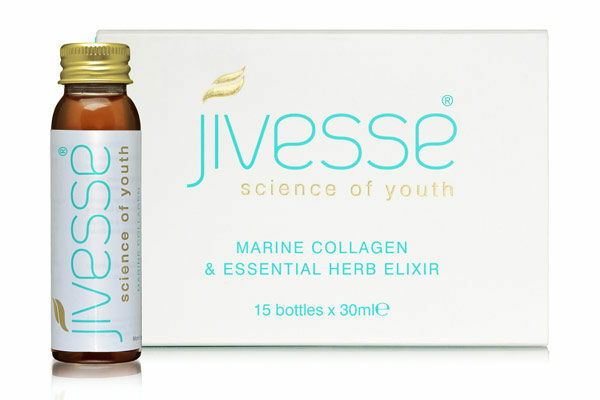 The 5000mg of hydrolysed collagen included in every 30ml bottle of Jivesse Marine Collagen Elixir helps reinvigorate the natural formation of collagen in the body, a process that naturally deteriorates over time leading to the formation of tell-tale signs of ageing. 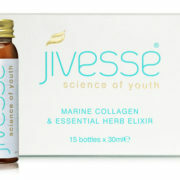 Jivesse Marine Collagen Elixir helps skin achieve more hydration from within whilst appearing more vibrant, youthful and radiant. 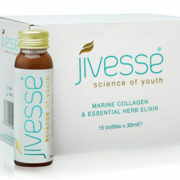 The specific blend of herbal extracts contained in Jivesse Marine Collagen Elixir add to the benefits experienced on the skin by helping boost vitality and rejuvenate the feeling of youth from within. 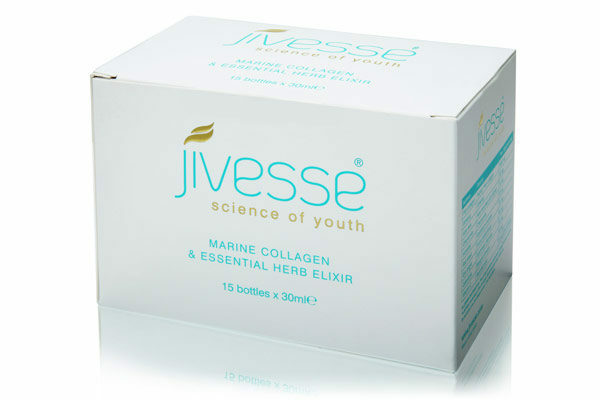 The great tasting, low calorie sweeteners used in the Jivesse Marine Collagen Elixir allow you to enjoy all the anti-ageing benefits of the Elixir without affecting daily calorie intake. 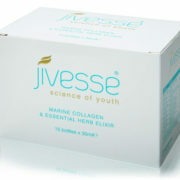 The Jivesse Marine Collagen Elixir is formed using over a decade’s clinical knowledge and experience in the development and manufacture of effective skin management products for dermatology specialists. 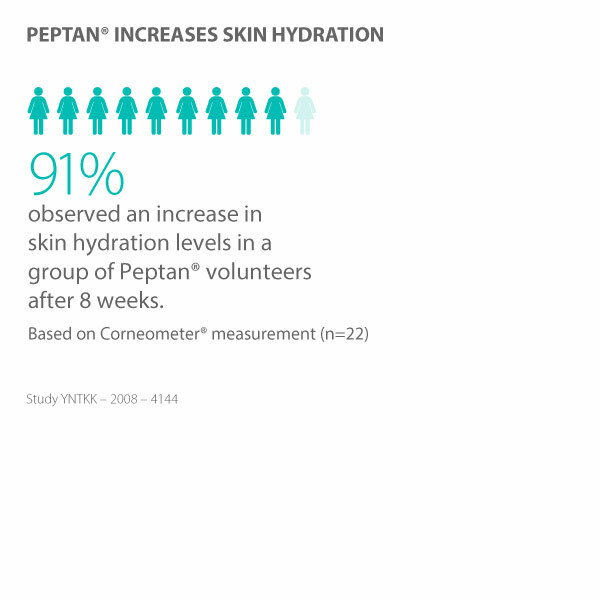 Clinical trials into Peptan® were carried out concluded that it is a scientifically proven natural bioactive ingredient, that improves; dermis moisture level, collagen structure & density and prevents skin ageing. 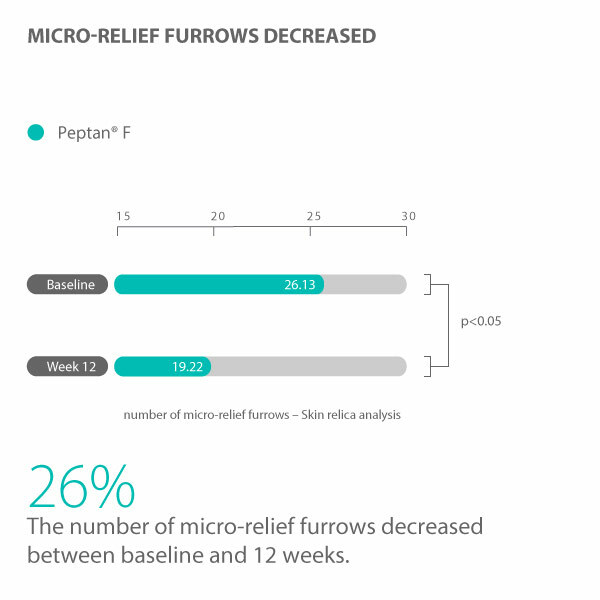 The trials were carried about by global skin health research organizations SOUKEN (Japan) and DERMSCAN (France) and concluded that when upto 10g of Peptan® were taken daily up to 12 weeks, Peptan® proved to be highly effective in improving the skin’s overall appearance and condition with the active product outperforming the placebo. 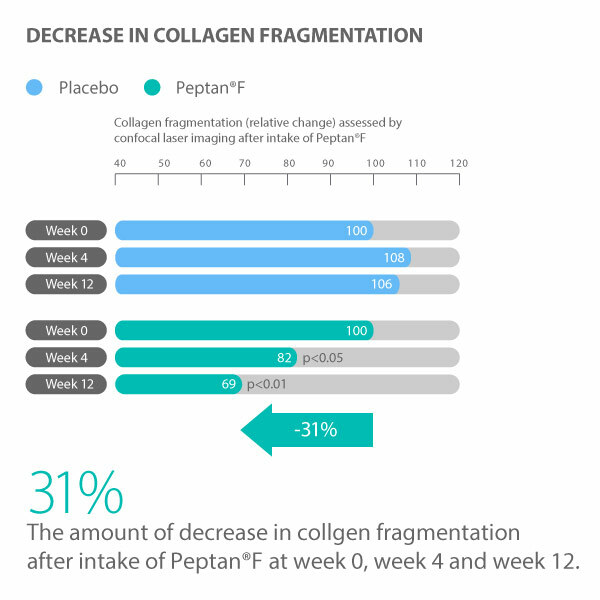 Peptan fish collagen is the most abundant active ingredient in the elixir. Peptan is a high purity bioactive and as a result is easy for the body to absorb and is therefore easily digested. It is a protein and minimizes the appearance of wrinkles from the dermis by stimulating the production of collagen within the layers of the skin. Water, Fish collagen (5g), Flavourings, Phosphoric acid, Blackcurrant juice, Ginseng, Aloe vera leaf juice, Potassium sorbate, Chamomile, Horsetail, Seaweed, Eye bright, Calendula, Citric acid, Xanthan gum, Ascorbic acid, Tri sodium citrate, Sodium benzoate, Stevia. 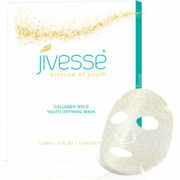 A great product- I love it!, Very easy to fit into my daily routine.